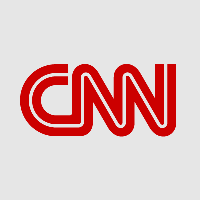 Sandra Gonzalez has departed Mashable, where she served as a senior television reporter since June 2014; beginning next week, she joins CNN’s Los Angeles bureau covering entertainment. Gonzalez has previously been a staff writer for Entertainment Weekly, as well as a features and entertainment reporter for The Monitor in McAllen, Texas. Get breaking news coverage including entertainment and more by following on Twitter. On July 11, I will be joining the entertainment team at CNN. I couldn't be more thrilled!